The tiny stone town of Perast was once the seafaring capital of this stretch of the Adriatic. Nineteen baroque palazzos bear witness to its former prosperity, particularly during the 17th and 18th centuries. Bronza Palace and Kolović Palace are striking visitor-friendly waterfront properties, built by wealthy families of seamen and merchants. Bujović Palace is now home to Perast’s seafaring museum. But the highlight of Perast floats offshore, where you’ll find two picturesque island churches: the 9th-century Benedictine abbey of Sveti Ðorđe (St George) and the 15th-century Gospa od Škrpjela (Our Lady of the Rocks). It’s believed the latter was erected by locals depositing stones around a rock apparition of the Madonna and Child. Boats transfer visitors frequently from across the bay. Time a visit around the Fašinada festival (on 22 July), when the people of Perast row in a convoy of boats to drop stones into the sea around Our Lady of the Rocks, symbolically reinforcing it. 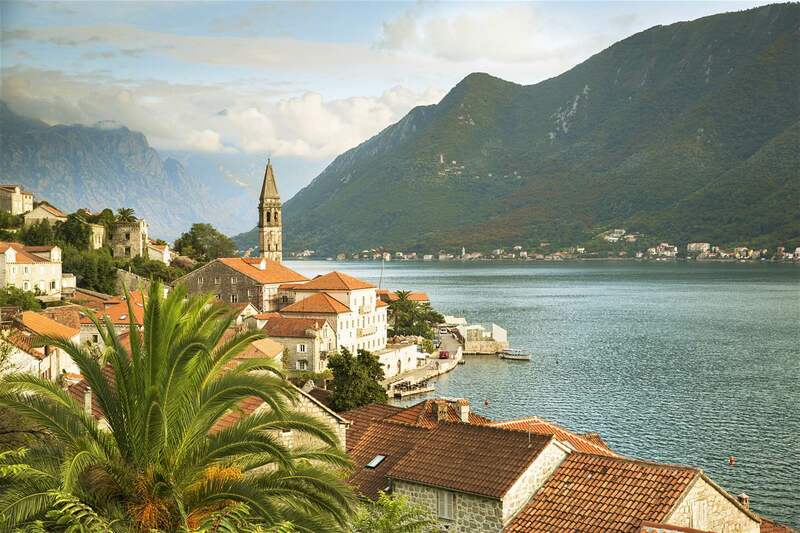 It’s followed by a vibrant regatta of Boka sailboats, celebrating Perast’s seafaring history. If there’s a sweet scent lingering in the air, it could be the traditional bobi (a fried sweet) or Perast’s famous almond cake, worth a nibble. The Adriatic has long been ally to Boka livelihoods and many locals still live off the sea, from expert fishermen to captains of cruise liners. In the summer months, small operators offer all sorts of watersports adventures. Hit the bay on a paddleboard or by kayak, go waterskiing, rent a sailboat or join a guided day cruise – the choice is yours.